One of the great Native American military leaders, this Oglala Sioux chief led the militant resistance to white settlement of Indian lands on the Great Plains. He is most famous for his victory over George Armstrong Custer and the Seventh Cavalry at the Little Bighorn on June 25, 1876, in which Custer and his entire command fell. 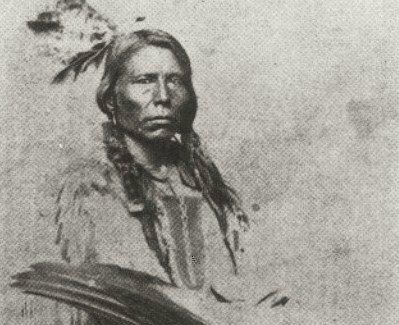 After years of fighting, Crazy Horse surrendered to General Crook in Nebraska on May 6, 1877. He was subsequently killed in a scuffle with his soldier-jailers.